Players who love to play pokies should know that winning at these games is sheer luck and there is a fair chance to hit the jackpot but it is always completely random for the players to win money at slot machine. However, one of the most popular topics when it comes to pokies is "hot streaks". What are the Hot Streak Machines? 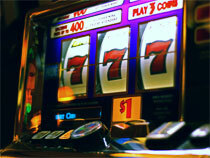 Players believe that there are a few pokie machines which have so called hot streaks. However, if it was easy to find a machine like that, everybody would be winning jackpots playing these machines all the time. Not everyone knows what hot streaks in pokies really are. Some players switch from one game to another randomly or continue to keep playing on one machine thinking that they would win at it because it is on a hot streak. Several others keep track of their wins and losses on the machines. The basic belief is that if the machine is hot enough then it is best to continue playing on it and try to make the most of it and if it gets cold then you should move on to another machine. Are There Really Any Hot Streaks? Whether pokie machines have hot streaks or not can be understood better once you know how pokies work. All pokies are programmed in such a way that they have a fixed payout percentage no matter what happens. However, the outcomes of all the spins are totally random in order to ensure a fair payout to the players. Everyone has equal chances to win but the outcome of every spin is independent from the previous outcome. For this reason it is not possible to predict the outcome of the coming session. If you are not sure whether you want to spend your money on the slots, you try them for free first. This also means that the probability of every single symbol and number coming up on the reels is equal. However, there is a great chance of smaller wins since their probability is higher than hitting the bigger combinations. It is the smaller wins that over the long term can help players get a decent profit. When it comes to the big jackpots the probability of hitting one is 1 to 1,000,000 and sometimes even higher depending on various factors. This means that there is a very slim chance of hitting the jackpot. It signifies that if hot streaks does exist in pokies it would be all based on luck as according to logic there is no way to predict when a hot streak would come and neither it can be said for sure if they do exist or not. However, sometimes it is seen that a few machines continue to pay out winning combinations for an extended period but there is no logic behind to explain it. On the other hand there would also be long bad sessions and these sessions are generally more common than the winning ones. If a hot streak does exist then the players would have a good chance to make a decent sum on the machine in a few spins. If you do come across a machine which has been paying you good for the session its best to try your luck and stick to it until the bad session starts.